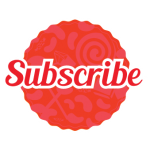 michellephilippi.com» Blog Archive » Crafty Christmas Wrap. Posted by Michelle on December 11th, 2015 . Filed under: Christmas, Design Team Work, Gift Packaging, Hazel & Ruby . I have been a Christmas wrapping fool for the last few months. 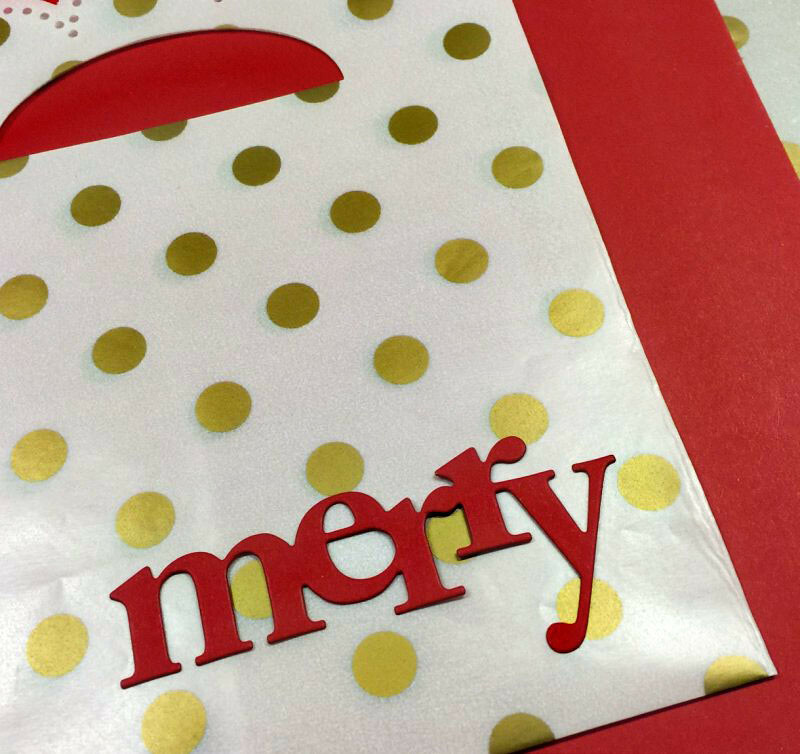 I saved a few gifts to the end because I wanted to do something crafty with the wrapping. 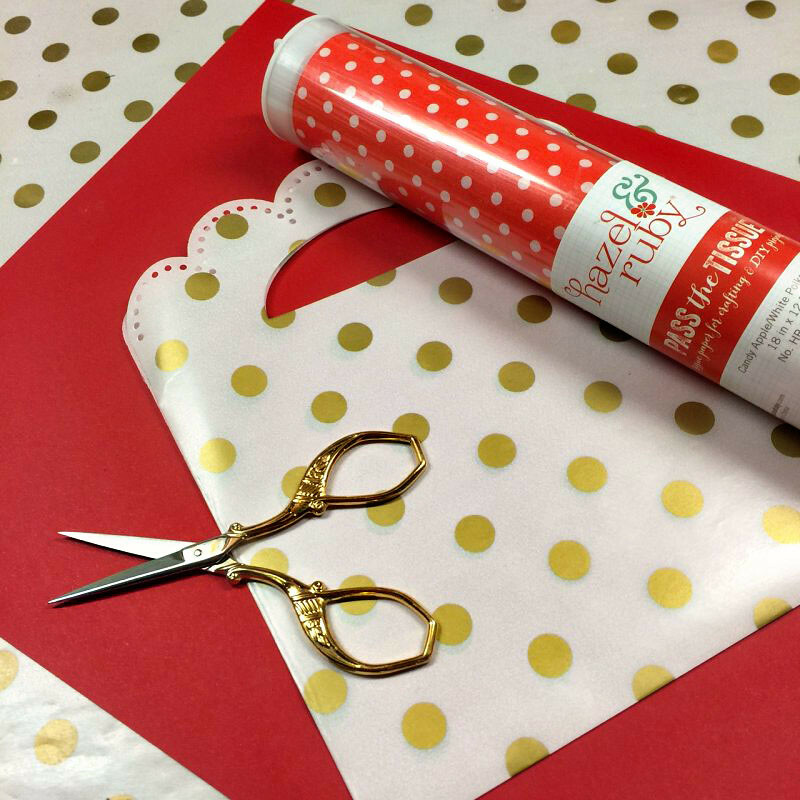 So today I’ve got some fun crafty Christmas wrap to share with you featuring one of my most favorite papers from Hazel & Ruby: Wrap it Up, Glassine & Gold. 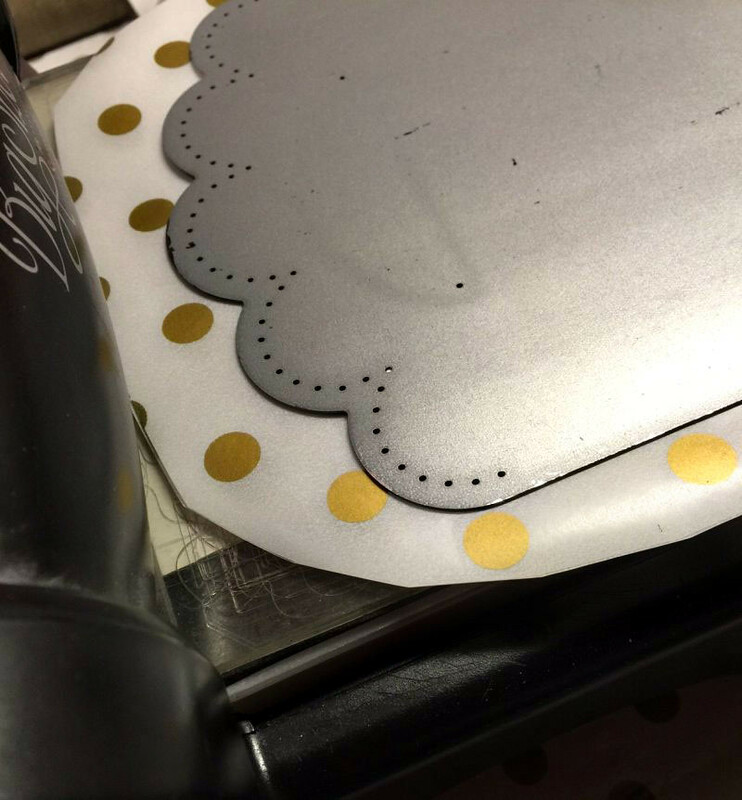 I started by diecutting a little gift bag/pocket out of my Glassine & Gold paper using my Big Shot. 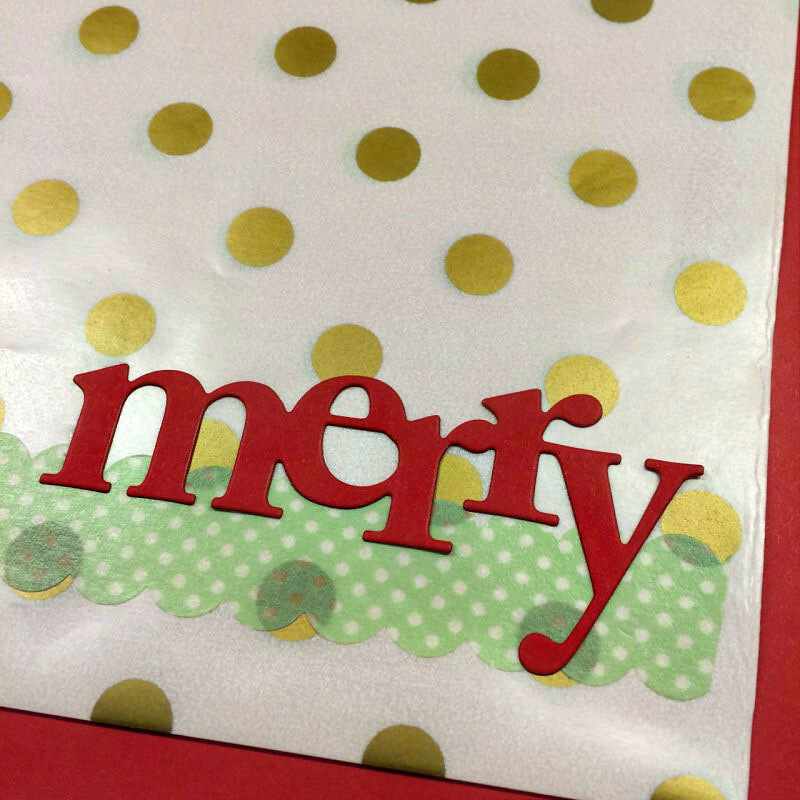 And then I die cut from cardstock the word Merry to go on the front of my package. And then decided that it needed something added to it, so I added a strip of Hazel & Ruby washi tape to it. 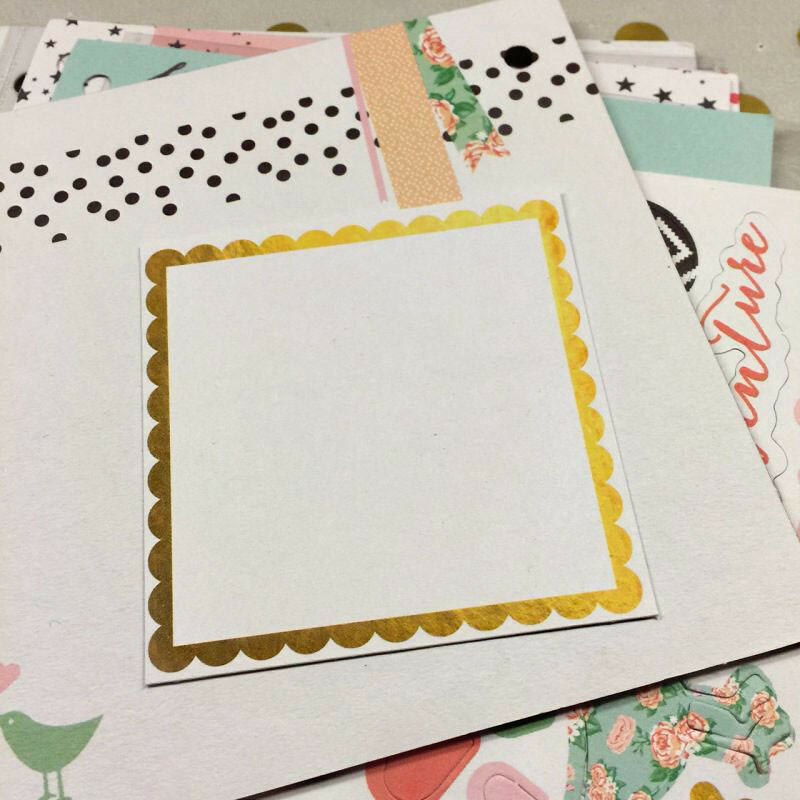 I needed a tag, so I cut a little piece out of a remnant page from my Hazel & Ruby Crafternoon Mini Keepsake Book Kit. 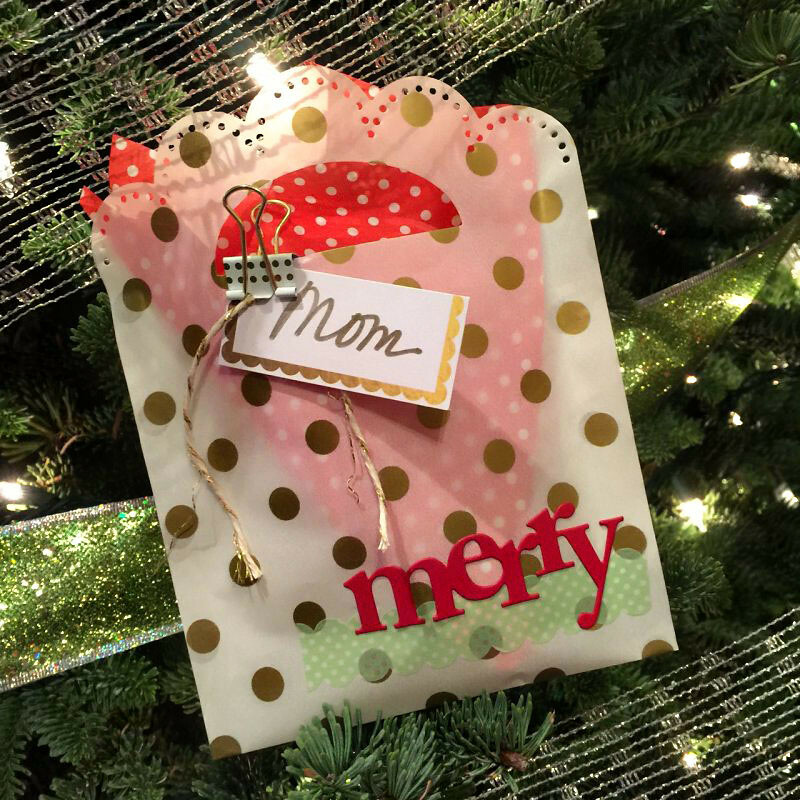 I filled my gift bag with some Candy Apple & Polka Dot Pass the Tissue paper, and my package was complete and now on the tree for my mom!